Wreckshop Nation is an independently owned entertainment company focused on promoting and producing digital content, products, and services for artists while simultaneously embracing the southern hip hop culture that developed in Houston during the late 1990’s. 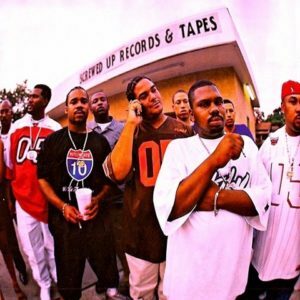 In 1997, Derrick Dixon, a Houston businessman colloquially known by moniker “D-Reck,” had heard about a hip hop movement in the city that revolved around a rap collective known as the Screwed Up Click. At the time, he was obtaining his master’s degree from Clarke Atlanta University and was actively looking for a way to invest in the music industry. After becoming aware of the Screwed Up Click and the revolution that was occurring in the Houston scene, Derrick relocated to the city in order to become more directly involved. The group was led by musician DJ Screw, a music professional in the hip hop industry who is credited with both inventing and popularizing the iconic “chopped and screwed” music style that helped put Houston on the map. The particular sound that DJ Screw created involved low-pitch, low tempo hip hop that was previously unseen in the industry. As a result, Derrick moved in and developed Wreckshop Records, an independent recording label that allowed the artists in Houston to receive increased exposure, and more importantly make money, all without signing a contract with a large corporation like Sony or Warner Brothers. Derrick Dixon reached out to members of the Screwed Up Click and ended up signing an artist known as Fat Pat, who was one of the most highly acclaimed members of the group. To put his significance into perspective, he was to Houston what The Notorious B.I.G. was to Brooklyn. 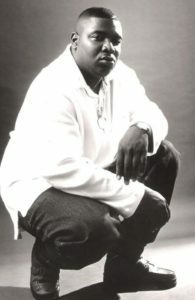 Unbeknownst to Derrick at the time, Fat Pat would go on to become one of Houston’s most successful artists. He was already a living rap legend within the city, and his debut album Ghetto Dreams was set to catapult him to heights never seen before. Sadly, Fat Pat passed away before the release of Ghetto Dreams, but the album still went on to become an iconic piece of history in not only Houston, but the hip hop industry itself. After the vast success of Fat Pat’s Ghetto Dreams album in 1998, Derrick realized the immense opportunity that he had at his disposal and negotiated a contract with other members of the Screwed Up Click. Ghetto Dreams was a trailblazing album at the time, but Big Moe managed to create a breakthrough single entitled Purple Stuff, a homage to the artists in the Houston music scene who tended to incorporate the recreational use of codeine-laced cough syrup among their lyrical themes. Purple Stuff was a track off of Big Moe’s City of Syrup album, which was released in 2000. Through Wreckshop Records, over 2.5 million record sales were made, which garnered the attention of several major recording labels, including the high-profile label Def Jam Records. After much negotiation, Derrick signed a contract with Capitol Records. At the time, it was unheard of for this type of success to be possible through an independent label. Derrick Dixon’s interaction with a major record label also helped to build his reputation with other professionals in the industry, proving that he was a capable, savvy entrepreneur who possessed a deep understanding of Houston’s hip hop scene, artists, and community. 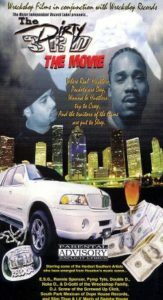 Wreckshop Records is also responsible for the production of the film Dirty 3rd, a Houston cult classic that provided a glimpse into the culture of The South. Despite not being a song or album, Dirty 3rd was met with overwhelmingly positive reception by Wreckshop’s fan base and members of Houston’s hip hop community and has become one of the products that Wreckshop Records is most known for. After suffering from a severe heart attack, Big Moe passed away in 2007, which left a void in Wreckshop Records that proved difficult to fill. After briefly working with various artists in the city, Derrick stepped away from music promotion in the late 2000’s to see how Houston’s hip hop culture would develop on its own. Over the next few years, Derrick was able to sit back and enjoy the fruits of his endeavors; much of Houston’s contemporary culture and those who are involved in the industry draw influence from the movement that Derrick helped DJ Screw diffuse through the region. 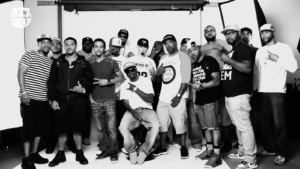 Today, Wreckshop Nation, the current name of what was formerly known as Wreckshop Records, has clout in the hip hop industry that very few labels can match. It was responsible for the success of Fat Pat and Big Moe, two iconic artists who were instrumental in raising awareness of Houston’s unique, tightly-knit hip hop community. They were also regarded as the individuals who popularized the term “purple stuff” in reference to the consumption of cough syrup in Styrofoam cups, a trend that continues to this day. And, it was all done independently, away from the grasp of major record labels that tend to invasively control artists’ creativity. Wreckshop Records worked with every successful artist to come out of Houston from the late 90’s to late 2000’s. Popular names include Mike Jones, Slim Thug, and Paul Wall, among plenty of others who helped pave the way for DJ Screw’s style of music rising to prominence. Other artists that Wreckshop has not physically worked with, such as Travis Scott, have indirectly been influenced by the label’s endeavors, which can be seen through lyrics that mention Fat Pat, Big Moe, and DJ Screw. Major artists of today, including Lil Wayne, A$AP ROCKY, Drake, and Young Thug have all mentioned the big-name Houston artists in their own tracks. Derrick Dixon was at the helm of disseminating what has proven to be one of the most significant movements in the history of hip hop. Due to his level of experience and involvement in the industry, Derrick Dixon is among the few businessmen in the area who has worked with the artists who served as pioneers for Houston’s hip hop scene. He has established himself as a pivotal force among those involved in the promotion of Houston’s unique style of southern hip hop, and has made an unforgettable impact on the industry that helped the scene reach where it is today. Over the next few years, Wreckshop Nation aims to be more than just a label; it is striving to be a centralized platform that hosts all forms of digital content related to the southern hip hop culture, both old and new. Music, videos, photos, writing, and other forms of miscellaneous content will be accessible for members of the community to locate and interact with. For artists, Wreckshop Nation will offer the capability for artists to establish their personal brand and online presence, and provide them with the opportunity to monetize content that they distribute online. The long-term goal for Wreckshop Nation is to become a Mecca for southern hip hop artists to seek after, where artists and listeners alike can find everything they need about the industry. Derrick Dixon has used his industry contacts to establish a powerful network of professionals who can help promote artists who collaborate with Wreckshop Nation, and takes pride in his ability to reach the success that he visualizes for both himself and his clients. Above all else, Wreckshop Nation values brotherhood, companionship, and independence, and has built its foundation upon these values so that it can serve the southern hip hop community as effectively as possible. 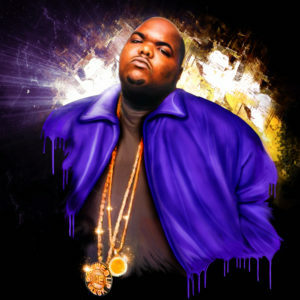 Big Moe’s single “Purple Stuff,” released in 2002, became a nationally-acclaimed single that helped establish Houston as a hub for Southern hip hop. Under Derrick ‘D-Reck’ Dixon’s leadership and management, over 2.5 million record sales were made, which garnered the attention of several major recording labels, including the high-profile labels Def Jam Records and Capitol Records.